The 60,000-sf hotel will include a restaurant at street level and a bar and lounge on the River Walk. It will be at 151 E. Travis St., within a block of downtown landmarks such as the Weston Centre and Weston Urban’s Milam building. 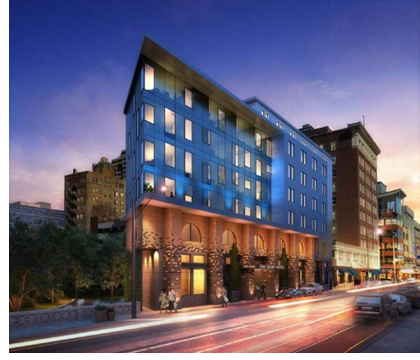 Architects are currently finalizing the design​ of the 100-room boutique hotel, which will be part of the Saint Hotel chain, said Mark Wyant, the Dallas hotelier who is developing the project.